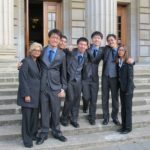 In 2011, the World Schools’ Debating team from Sunny Singapore comprised five strapping young men, who, despite their size, are all between the ages of 17 and 18. Ng Liki has straight A grades and is an otherwise perfectly rational human being – yet doesn’t believe in global warming. His explanation for rising temperatures? Water vapour. We’ll be the ones laughing when his house near the coast is drowned by rising sea levels. Adil Hakeem has dreamed of flying ever since he was a child. His one experiment has left him with a metal plate permanently embedded in his arm. He plans to try again – except this time he won’t use a school gate as a launchpad. Ashish Kumar’s dream, on the other hand, is to be a champion chessboxer. He’s got the chess part down pat, but judging by his size boxing will take him a long while yet. Benjamin Mak is the team’s philosopher and resident conversationalist. Between the obscure quotes and random musings he peppers his speech with, no conversation has ever survived Benjamin unscathed. Teoh Ren Jie, as their long-suffering team Captain, often cries himself to sleep at night, despairing at ever reforming this motley bunch of fools. His friends try their best though – they usually try to keep up the illusion that he’s in charge. Team Singapore has following in its wake, its rue-filled team manager and coach who both wish to remain anonymous. This motley crew has now some claims to fleeting fame. 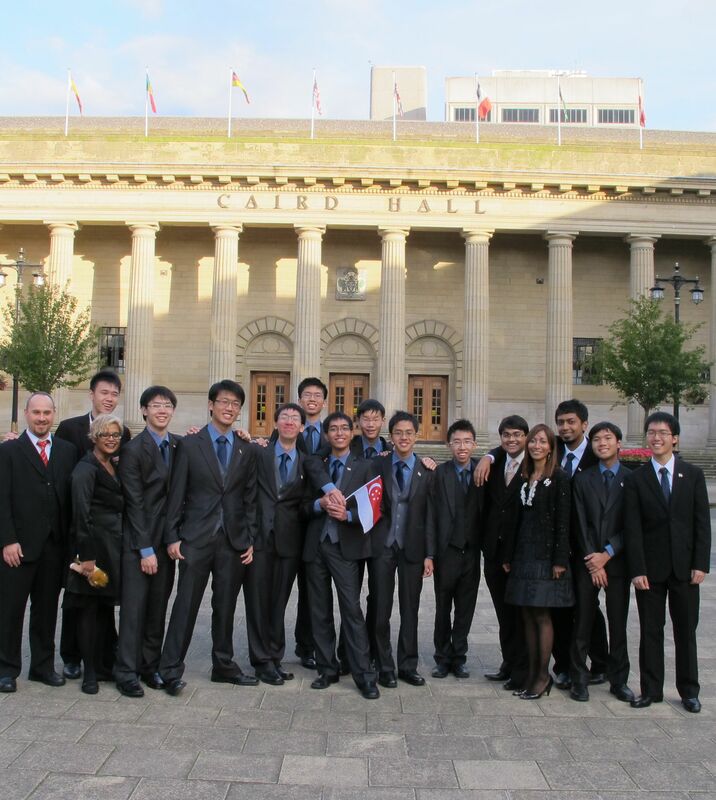 Team Singapore is the 2011 World Schools Debating Championships victors at Dundee, Scotland and hence is World Champions. The speakers also brought glory to the nation with Teoh Ren Jie emerging individual world champion. Ben Mak ranked as the second best speaker of the tournament and Ashish Kumar was ranked the fourth best speaker at the event. The team would like to thank all those who made their debating success possible, their national team manager, their teachers in charge, past and present, their coaches, past and present and all the team mates from the various debate squads that they have been a part of throughout their careers. The team would also like to thanks the various well wishers who came to all their exhibition matches locally and followed their debate adventures online. The team salutes all fellow debaters and wishes them joy and a life long fascination with debate. 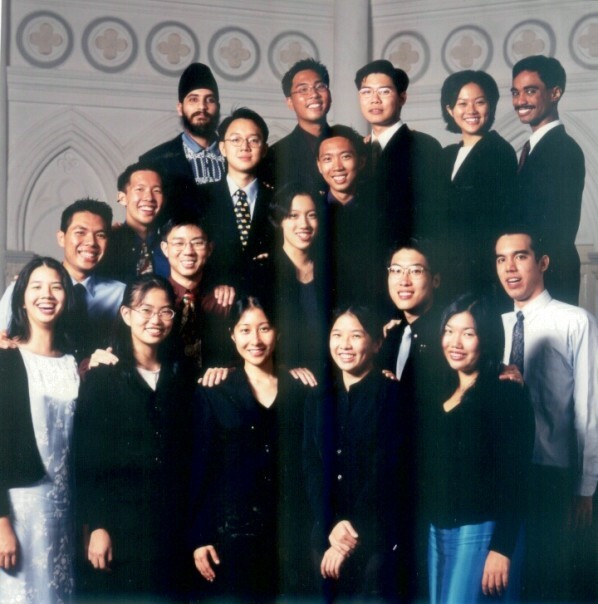 In 2000, Team Singapore defeated England, New Zealand, Peru, Bermuda, Pakistan, Ukraine and Germany and lost to Canada in the Preliminary Rounds. The team defeated Lithuania in the Octo-finals and lost to England in the Quarter-finals. In 2001, Team Singapore defeated New Zealand, The Netherlands, Namibia, Argentina, Israel, Lithuania, Zimbabwe and lost to Pakistan in the prelim rounds. The team defeated England in the Quarter-finals and lost to Australia in the Semi-finals. In 2002, Team Singapore defeated Greece, Kuwait, Indonesia, Canada, Brunei, Hong Kong and lost to New Zealand & Scotland in the Prelim rounds. The team beat Hong Kong in the Octo-finals and lost to Scotland in the Quarter-Finals. In 2003, Team Singapore defeated Canada, Greece, Slovakia, The Philippines, Bermuda, German and lost to Scotland & South Africa in the prelim rounds. The team defeated Wales in the Octo-finals, New Zealand in the Quarter-finals, Scotland in the Semi-Finals and lost to Australia in the Finals. In 2004, Team Singapore defeated Kuwait, Estonia, Israel, Peru and South Korea and lost to England, Lithuania, and Scotland in the prelim rounds. The team defeated Canada in the Octo-finals and lost to England in the Quarterfinals. In 2006, Team Singapore defeated the Netherlands, Romania, Kuwait, Indonesia, Montenegro and Croatia and lost to Scotland & New Zealand in the prelim rounds. The team defeated Greece in the Octo-finals, South Korea in the Quarterfinals and lost to Australia in the Semi-finals. In 2007, Team Singapore defeated Peru, Bermuda, the Czech Republic, Romania, Wales, Canada and India .and lost to England The team defeated Israel in the Octo-finals, Australia in the Quater-finals, Canada in the Semi-finals and lost to Scotland in the Finals. In 2008, Team Singapore defeated the Philippines, Slovenia, Montenegro, Qatar, Hong Kong, and Romania and lost to Estonia and New Zealand in the prelim rounds. The team lost to Greece in the Octo-finals. In 2009, Team Singapore defeated Qatar, Kuwait, the Netherlands, the Czech Republic, Mexico, Thailand and lost to England and Canada in the prelim rounds. The team defeated Slovenia in the Octo-finals, Australia in the Quarter-finals and lost to New Zealand in the Semi-finals. In 2010, Team Singapore defeated the Czech Republic, Mexico, Turkey, Qatar,Nepal, Hong Kong, Russia, and Ireland in the Prelim Rounds. The team defeated Scotland in the Octo-finals, Slovenia in the Quarter-finals and lost to Canada in the Semi-finals. In 2011, Team Singapore defeated Argentina, the Philippines, Thailand, Serbia and Nigeria and lost to the Netherlands, Pakistan and New Zealand in the Prelim Rounds. The team defeated New Zealand in the Octo-finals, Canada in the Quarter-finals, Ireland in the Semi-finals and Australia in the Finals. In 2012, Team Singapore defeated Canada, Bermuda, Mongolia, Japan, South Korea, Hong Kong, Indonesia and Sri Lanka in the Prelim Rounds. The team defeated South Korea in the Octo-finals and lost to the Philippines in the Quarter-finals. In 2013, Team Singapore defeated Swaziland, Thailand, The Philippines, USA, Scotland, Barbados and Mongolia and lost to New Zealand in the Prelim Rounds. The team defeated Slovenia in the Octo-finals, England in the Quarter-finals and lost to Swaziland in the Semi-finals. In 2014, Team Singapore defeated Sri Lanka, Swaziland, China and Morocco and lost to Germany, Ireland and Australia in the Prelim Rounds. The team lost to England in the Octo-finals. In 2015, Team Singapore defeated Morocco, Indonesia, Sweden, Turkey, The Philippines, Slovakia, The Netherlands and South Africa in the Prelim Rounds. The team defeated India in the Octo-finals, South Africa in the Quarter-finals, Pakistan in the Semi-Finals and Canada in the Grand-final.